FREDOKISS has risen up to become Malawi’s first Youth Champion in the fight against International Wildlife Trade (IWT) Crime. 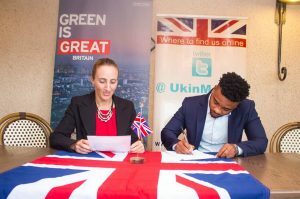 The artist will front UK in Malawi’s ambitious International Wildlife Trade awareness campaign in Malawi. “We are very happy to have Fredokiss fronting our campaign, he has generously taken up the role to add his voice to the fight against IWT Crime, this resonates well as it is for young people to take this forward to ensure future generations get to enjoy Malawi’s wildlife”, said the British Envoy. Malawi has made some great strides in combating the illegal wildlife trade and is standing out internationally as a country that is trying to tackle this crime which has devasted other parts of Africa. Among the key achievements in addressing IWT challenges, the partnership with African Parks to manage National Parks in Malawi to the benefit of local communities has been widely lauded. A specialized Wildlife Crimes investigation Unit to investigate international criminal syndicates has also been established with the British Army stepping to assist rangers in developing infantry skills and information analysis to put an end to poaching. Last year, authorities seized 1,000 kgs of Ivory, and made over 100 arrests. 3000 people in Malawi have thus far Signed up to be IWT youth champions.